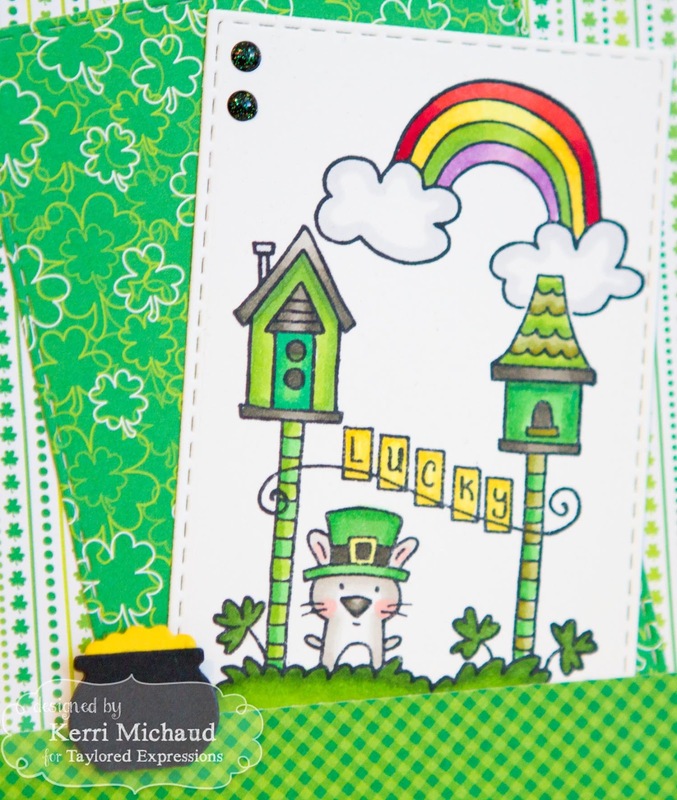 Taylored Expressions February Release Day: Wishes On A Wire St. Paddy's Day! For my final project this release, I used the super adorable set-Wishes on a Wire St. Paddy's Day! I stamped the image with Memento Tuxedo Black and colored with Copics. I cut it out with a Stitched Rectangle Stacklets Die and used a larger Stitched Rectangle Stacklets to cut the Doodlebug Pot O' Gold dp. 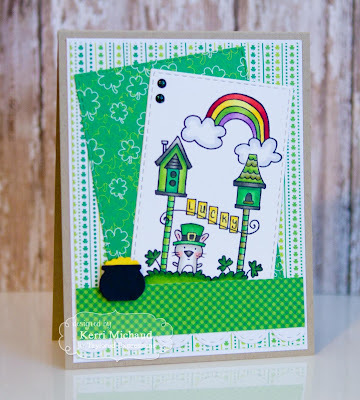 I added a Sugar Cube border using the Stitched Scallop Edger Die and the pot of gold was cut using Little Bits Rainbow's End Dies along with some Oreo and Lemon Meringue CS. That's it for me today so thanks for stopping by:) If you'd like to see more projects and new product information, please head over to the TE Blog for a complete list of our participating designers! Happy shopping! Absolutely adorable, Kerri!!!! You have used such a wonderful layout and papers and I am blown away with your coloring...sooo beautiful!!! Cute! Great layout and the colors are perfect!